The central and the state governments are taking all necessary initiatives for the development and empowerment of the young women in the country. The scope of education and job training has been increased considerably. 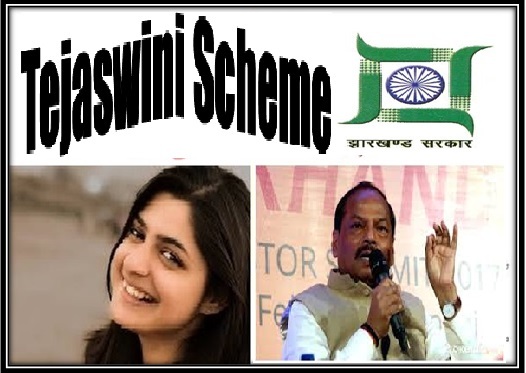 The government wants the women to play a vital part in the development of the country and all these points have been duly covered by the Tejaswini Scheme of Jharkhand. Supervised By State Women Welfare Department. Women empowerment and socio-economic development – The state of women in the state was not very commendable. With the assistance of the scheme the state government will not only bring about women empowerment but will also address the issues of socio-economic development. Intensive delivery of services – Adolescent Girls and Young Women (AGYW) Projects are mainly focused on the needs of young female candidates. The project will also assess the state of community-level mode of delivery of services and hence, work on its improvement. Capacity–building of the state – Making the institutional capacity of the state is a must. It will in turn assist in developing the reach of various associated government agencies. The project is aimed at bringing this change. Educating about life skills – This project will also educate and assist the candidates in acquiring the skills that will develop their overall life and outlook. They will get training related to Health and Nutrition, Protection and Rights, Soft skills and Resilience and Economic literacy. Providing assistance in preferred sector – The project is no only implemented for providing the young women with skill development training, but it will also provide assistance to those adolescent girls who want to opt for higher education. Residential eligibility – The scheme has been designed for the girls and women of Jharkhand only. Thus, you will only be able to apply under the scheme if you are a legal resident of the state. Age criteria – As per the guidelines of the scheme, young women and adolescent girls will only be able to register under the scheme as they must fall within the age bracket of 14 to 24 years. Aadhar Card – The Unique Identification Code will assist the government agency in keeping track of the beneficiaries. Thus, a photocopy of the candidate’s Aadhar Card is a must. Address Proof of the candidate – For getting the benefits of the Tejaswini Scheme, the candidates will have to be legal residents of the state. Thus, the candidate will also have to attach the address proof along with the form. Certificate of birth – As there is an age requirement for availing the benefits of the scheme, the interested candidate will have to provide an age proof. The birth certificate will assist in this verification. Certificate of education – The candidates must have some educational qualification for registering under the scheme. Be it pursuing higher education or attaining skill development sessions, the candidates will have to produce education certificates for attaining the benefits. The Tejaswini Scheme is to be implemented in all parts of the state. It has been mainly designed to cater to the needs of the adolescent girls and young women who stay in the rural areas. As of now, the draft of the scheme says that it will be duly implemented in 17 districts of the state. With time, the coverage area will cover the rest of the 7 districts. The scheme will cater to the needs of 680,000 young women and girls at present. The registration or the application form of the scheme is not available online. It can be collected from any government school or college in the state. Apart from this, the office of the education department in each taluka or district will also provide the interested candidates with the application form. Once you have the form, all you need to do is fill it up with the details and attach the required documents and submit it at respective offices. Make sure that you mention your age and preference for education or skill development for appropriate assistance. The state government of Jharkhand has allotted a whopping budget of Rs. 600 for the proper implementation of the program. Apart from this, the state will also acquire economic assistance from the World Bank. The bank has allotted around $63 million for the implementation of the program.